The innovative laser system delivers an unsurpassed repetition rate of 1050 Hz – currently the highest of all excimer lasers on the market – and consequently an extremely short ablation time of just 1.3 seconds per dioptre. That means even greater safety and comfort for the patient. 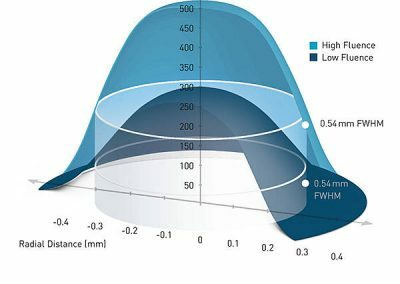 The risk of the cornea drying out is minimised, and the length of time the patient has to fixate on the green light is reduced. It is a performance leap that brings maximum safety and enhanced patient comfort. The eye tracker camera monitors the position of the eyes 1050 times per second with a latency time of 1.6 milliseconds. 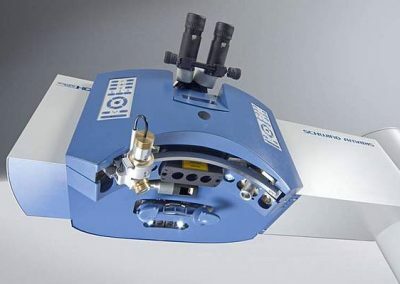 Altogether, the total reaction time of the laser system is only three milliseconds. 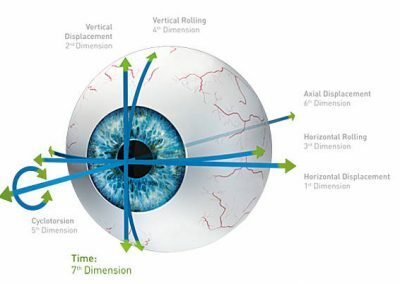 The 7D active eye tracker impresses through a number of benefits: Apart from the linear movements (1st and 2nd dimensions) it compensates rolling movements of the eye (3rd and 4th dimensions). 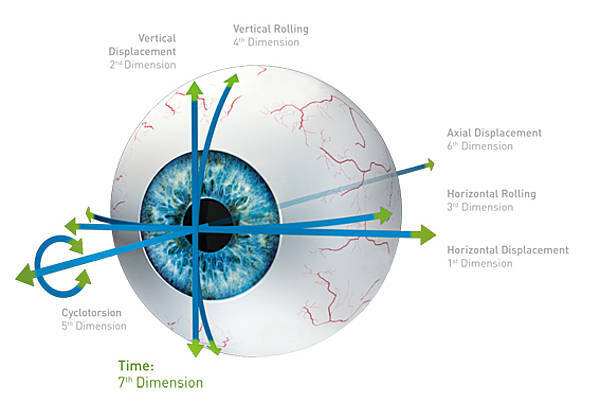 Compensation of the eye’s rotation around its optical axis is achieved with the static and dynamic Advanced Cyclotorsion Control (5th dimension). Movements along the z-axis (sixth dimension) are actively compensated by means of the z-tracking. 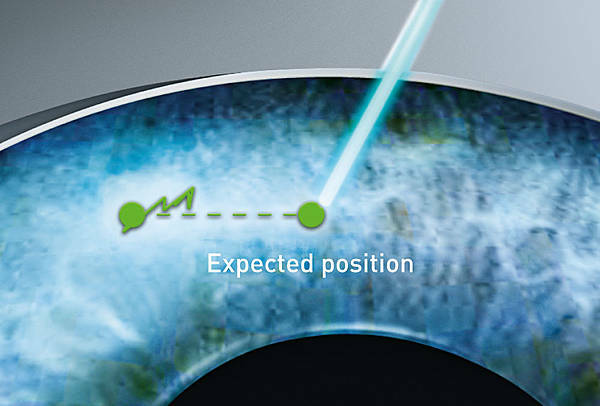 Automatic pupil size control and pupil centroid shift compensation ensure additional safety. 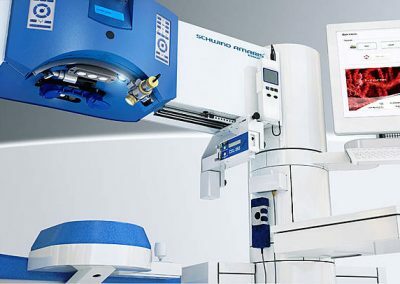 The integrated SCHWIND CAM software with the ORK-CAM, PresbyMAX, PALK-CAM, and PTK-CAM modules offer a tailored treatment planning solution for a uniquely wide range of applications in refractive and therapeutic corneal surgery. 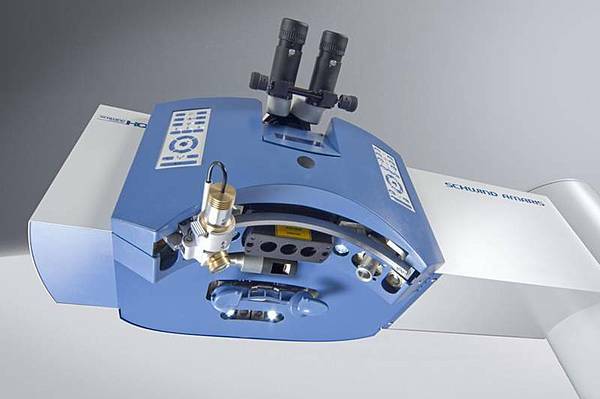 With the SCHWIND AMARIS laser systems it is possible to carry out no-touch, all-laser surface ablations. The so-called TransPRK (Transepithelial Photorefractive Keratectomy) is an advanced version of surface treatments as LASEK, Epi-LASIK and PRK. 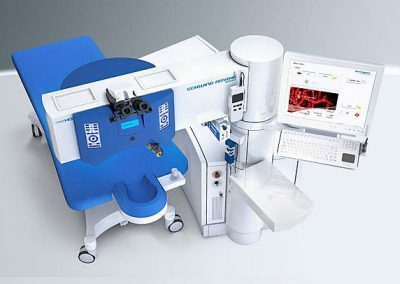 Thereby the epithelium, which is the regenerative surface of the eye, is ablated by the laser system. 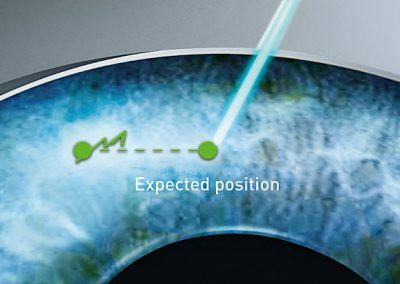 The TransPRK is a transepithelial single-step treatment that avoids the eye coming into contact with any instrument. 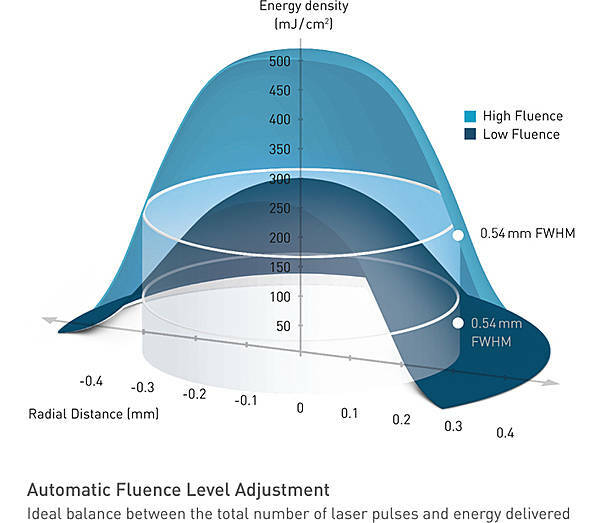 The integrated contact-free optical pachymetry provides precise information about the thickness of the cornea throughout the entire duration of the treatment. The changes are measured and displayed on the treatment screen online. The measurements are taken before the preparation and after lifting of the flap, as well as during and after the laser treatment. This increases the intraoperative safety in refractive treatments. All data are documented in the treatment log. 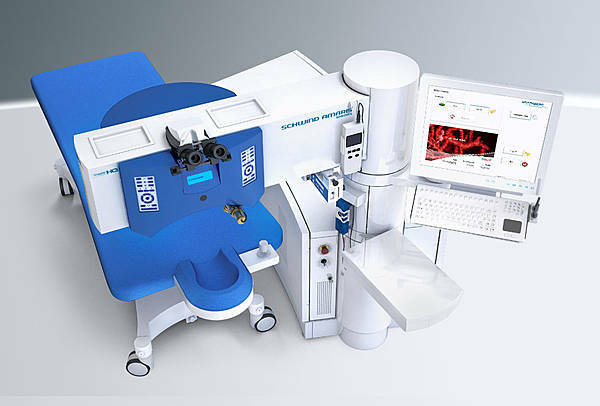 All laser systems in the SCHWIND AMARIS product range can be optionally equipped with the SCHWIND CXL-365 vario system for corneal collagen cross-linking (CXL). Ultraviolet A (UVA) light and riboflavin (vitamin B2) is used to stabilize the cornea by inducing cross-links within and between collagen fibres. 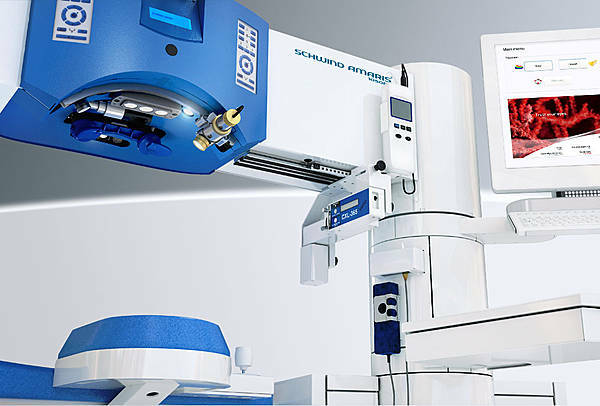 The unique particle aspiration system of the SCHWIND AMARIS technology ensures stable microclimatic conditions across the cornea. Particles that could shield energy during ablations are thereby effectively removed. At the same time, the climatic conditions remain constant, preventing the cornea from drying out. 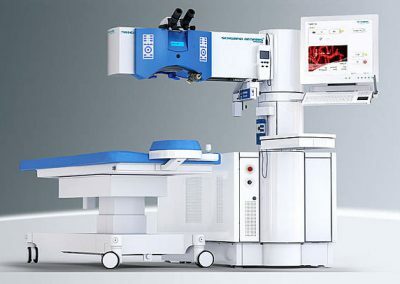 The 90 degree swivelling laser arm facilitates patient preparation as well as the use of other medical devices. 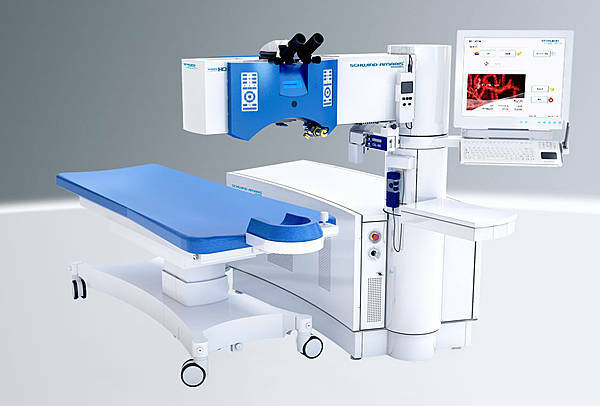 This system is supplemented by the swivelling patient bed, which allows further stages of surgery without having to change the patient’s position.